This week on the show we have TEDx speaker, award-winning author, financial literacy & mental heath advocate, Natalie Torres-Haddad MPA, AWA. We talk all about personal finances- from how to have a conversation about money with your partner, what to ask in that conversation, best way to budget, what “runaway spending” really means for you, eliminating debt, real estate and fun tips and tricks to cut unnecessary spending. Before the interview, Bricia and Paulina talk about planning Eddie’s FIRST birthday party. it’s the first time Bricia will have other kids over (besides the cousins) and the only time of the year Eddie will be able to end candy! We can’t wait for the pics, amiright? Today’s episode is filled with lots of tips and tricks so be sure to write things down! What does an MPA, AWA specialize in? Where did this passionate for financial literacy come from? How do I start the conversation about money with my partner? How do I save money with my partner? What do you advice couples to do with combining a savings account? How do you keep track of everything? How do you expect me to save, when I’m living paycheck to paycheck? When is the best time to shift from saving to investing? What is the best first real estate purchase? 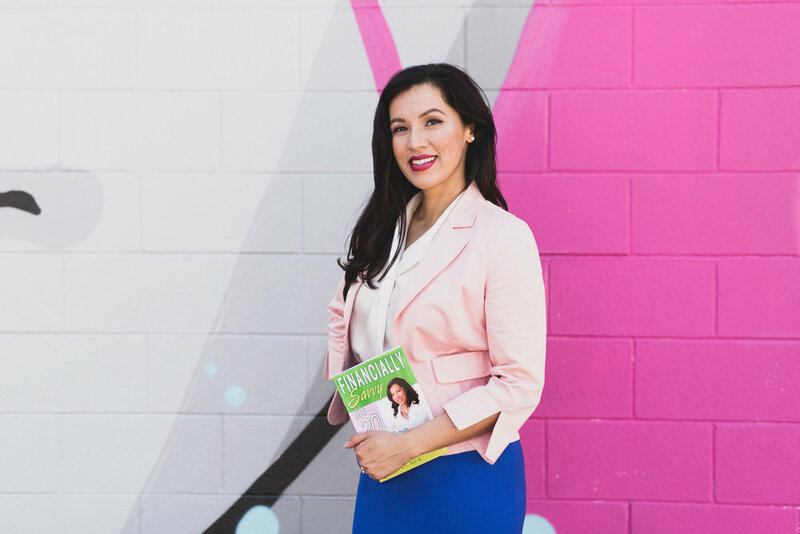 To get in contact with Natalie visit her website, Financially Savvy Latina and follow her on IG @FinanciallySavvyLatina. Be sure to comment your favorite part of your episode on our IG post about today’s episode for your chance to win a ticket to the Financially Fit Makeover Workshop on Feb 2nd. Didn’t get lucky? Visit their website for 50% off the ticket, courtesy of Natalie! If there is one word to manifest in 2019, Natalia suggest that it should be “FRUGAL.” Making that choice can make a world of a difference for you and your family. Remember, you can still be fun, fabulous AND frugal. If you haven’t checked out The All New Suze Orman’s Women & Money Podcast, Paulina has been LOVING it. It’s a no bs, straight to the point financial podcast for women. Gain your financial independence now! Bricia shares her experience with almost declaring bankruptcy and helps us rethink what our our financial options are and the benefits of being financially free.